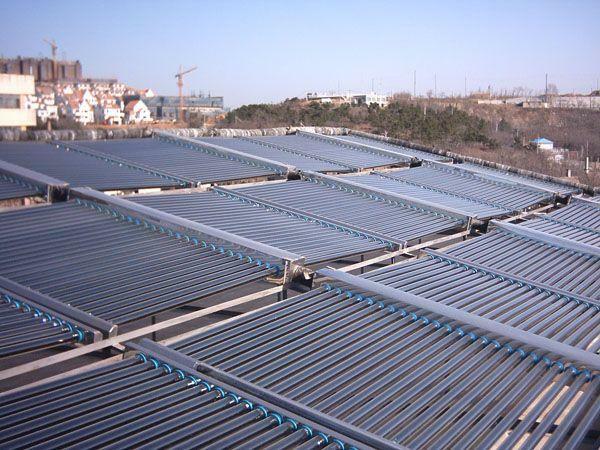 Solar Heating is a great investment when process heating is required. What is process heating? This is the use of heat in the production facilities or operations of any business. Sanitization in food processing is an example. Heating in distilleries and breweries is another example of process heating as part of the production of beers and spirits. Our Pre-Engineered commercial solar water heaters are ideal for any business that requires heat energy in the production chain of its manufacturing. By utilizing our pre packaged commercial systems, a company can quickly employ a solar water heater into the manufacturing process. Unlike our residential solar water heating package, commercial solar heating systems require much larger storage capacity. The water tank is like a battery in a PV system. It harnesses the energy to be used when demanded. With out a solar storage tank the energy would need to be used instantly as it is produced. In some applications this is feasible but for most, the supply and demand don't equally match. This is where the solar storage tank fits in.